My answer’s always the same: Paula’s Choice Skin Perfecting 2% BHA Liquid Exfoliant or The Ordinary Salicylic Acid 2% Solution. Cos what works for me may not work so well for you. Or you may not like the texture of my HG. Or the price. Most people don’t like the price. I get it, I like to get the most bang for my buck, too. 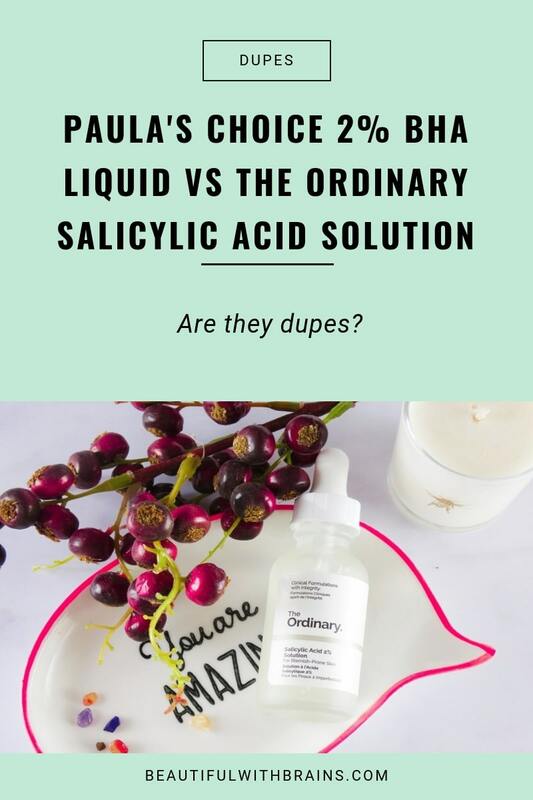 So if that’s what you’re after, is The Ordinary Salicylic Acid 2%Solution a dupe for Paula’s Choice Skin Perfecting 2% BHA Liquid Exfoliant? Oily skin? Meet your new BFF. Exfoliates: it dissolves the “glue” that holds skin cells together on the surface of the skin, leaving it smoother and brighter. Unclogs: it’s oil-soluble so it easily penetrates into the pores and removes all the gunk that’s giving you blackheads and pimples. Soothing: it has anti-inflammatory properties that reduce redness and irritation. If you’re dealing with blackheads, whiteheads or pimples, you MUST add salicylic acid to your skincare routine. I’m not kidding when I say this is the most important ingredient for your skin type. Those nasty buggers rear their ugly heads when your pores are clogged. Salicylic acid removes those clogs and prevents new ones from forming. Both The Ordinary Salicylic Acid 2% Solution and Paula’s Choice Skin Perfecting 2% BHA Liquid Exfoliant have 2% salicylic acid. That’s more than enough to do the job. P.S. Salicylic acid belongs to the Beta Hydroxy Acid family. If you see BHA on the packaging, it means salicylic acid. The Ordinary Salicylic Acid 2% Solution is cheap for a reason: all you’re getting is salicylic acid. If that’s all you want, cool. Paula’s Choice Skin Perfecting 2% BHA Liquid Exfoliant has a drop of green tea, an antioxidant with soothing properties. It fights off free radicals and calms down irritation. Plus, PC is loaded with humectants, i.e. moisture magnets that attract water from the air into the skin. That makes it a little more hydrating, too. Texture-wise, neither is perfect. Paula’s Choice Skin Perfecting 2% BHA Liquid Exfoliant leaves skin a little shiny. I guess if you have oily skin, that’s the last thing you want. The Ordinary Salicylic Acid 2% Solution doesn’t have that issue. But it foams a little when you apply it. I know, it’s weird. But it doesn’t compromise its effectiveness so I’m cool with it too. It depends on your needs. If you’re on a budget or can’t put up with a shiny feel, The Ordinary Salicylic Acid 2% Solution is for you. If you have oily and dehydrated skin or simply prefer a more multi-tasking product, Paula’s Choice Skin Perfecting 2% BHA Liquid Exfoliant is your best bet. If you want something in between, like a multi-tasking exfoliant that does NOT leave a shiny residue behind, check out my guide to Paula’s Choice salicylic acid exfoliants. The brand makes 12! so you’ll sure to find one that suits your needs. Related: The Ultimate Guide To Paula’s Choice Salicylic Acid Exfoliants: Which One Is Right For You? Is The Ordinary Salicylic Acid 2% Solution A Dupe For Paula’s Choice Skin Perfecting 2% BHA Liquid Exfoliant? Nope. The Ordinary Salicylic Acid 2% Solution is a more basic version of Paula’s Choice Skin Perfecting 2% BHA Liquid Exfoliant. But it unclogs pores just as well. What’s your fave of the two exfoliants? Share your thoughts in the comments below. 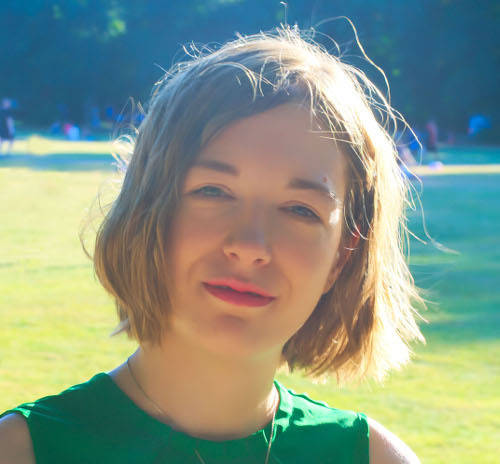 I tried The Ordinary’s SA and it didn’t do a thing for my skin (and my skin normally improves with SA products). The Ordinary SA was also a weird foamy texture I couldn’t get used to. I just ordered the CLEAR regular strength BHA from Paula’s Choice and I’m hoping it works out! Heidi, sorry The Ordinary didn’t work out for you. I guess there was something else in the formula that didn’t agree with your skin. I’m sure you will have better luck with Paula’s Choice. She has so many BHA exfoliants, you’re bound to find one that works for you. Hey Gio – can you weigh in on whether Paula’s Choice CLEAR range (there’s also a 2% HA acid lotion) is better/worse than the original? Thanks! Gaby, you don’t need something stronger, you need more patience. Exfoliants don’t work overnight. If you have large pores because they’re congested, only salicylic acid can do the job. Glycolic can’t get into the pores so using a higher concentration of glycolic is useless. If the congestion is old, it can take weeks to see results but keep at it! Gio, thanks for the wealth of info on your site! I am in the process of formulating a routine for myself. I have acne prone skin (blackheads and large pores being my biggest problem), fine lines and some age spots. My questions are: 1) have you seen or used an oil based salicylic solution? I was thinking of using Baobab oil as the carrier and skipping the alcohol all together. 2) Would you recommend using this solution after a water-based hyaluronic serum? As a rule, though, it’s always best to use exfoliants after cleansing. Plus, oil-based and water-based products may not layer well and cause pilling.